Ever since trailers for the 1975 blockbuster, Jaws advised filmgoers to "See it before you go swimming," shark attacks have lurked among America's shared national nightmares. And this being Shark Week on cable TV, it's easy to get caught up in a fear frenzy. But a new study shows that the risk of a shark bite for surfers, swimmers and divers in California has dropped by 91 percent over the past five decades. “California ocean-goers are safer today than at any other time since the 1950s,” says Francesco Ferretti, a postdoctoral researcher at Stanford’s Hopkins Marine Station and lead author of the study to be published later this month in Frontiers in Ecology and the Environment. Shark population sizes are one risk factor for an attack -- but not the only one. That risk also depends on the number of humans in the water and how often people and sharks are in the same place at the same time. 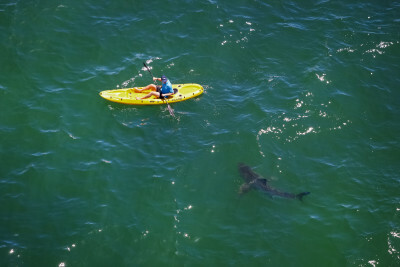 To see how this risk has changed, the scientists analyzed patterns of great white shark attacks in California since 1950. Great white sharks are thought to have thrived in California's waters over the last 60 years due to increased state and federal protections. But the human population on the coast has increased much faster. So has the number of surfers, divers and swimmers in the water. According to Ferretti's estimates, about 112 million more people visited California’s beaches in 2013, compared to 1950. "Even though the absolute numbers of shark attacks have increased since 1950, when you consider the number of people that are engaged in ocean activity, you see that actually the expected number of attacks for the same amount of people [in the ocean] has declined," explains Ferretti. By his math, the odds of a shark biting a surfer in California is one in 17 million, and the chances of an attack on a swimmer is one in 738 million. That means a Californian is 1,800 times more likely to die from drowning at the beach than from a shark attack, according to statistics from the Centers for Disease Control and Prevention. Ferretti says that sharks may be spending more time near colonies of their favorite prey: elephant seals and California sea lions. They could also be learning to avoid heavily populated areas. Big predators are important parts of any ecosystem. 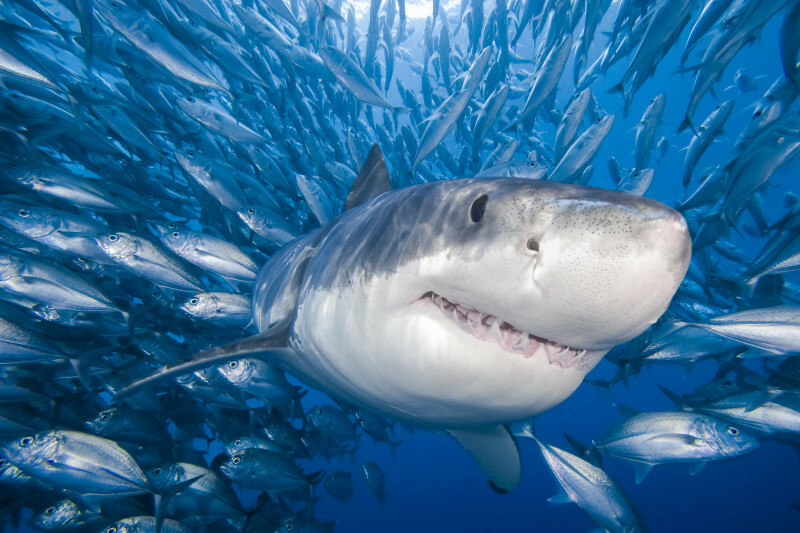 Like the famous wolves in Yellowstone, great white sharks are considered key species in the ocean. They help keep prey populations under control and help maintain a diverse community of plants and animals along the coast. They also rarely attack humans. But attacks always make the news. For example, North Carolina has already seen a record eight shark bites this summer. The breathless Shark Week coverage, which often seems contrived to advance viewer ratings more than science, contributes to the hype and fear around shark attacks. But sharks are actually wimps on the list of world's deadliest animals. 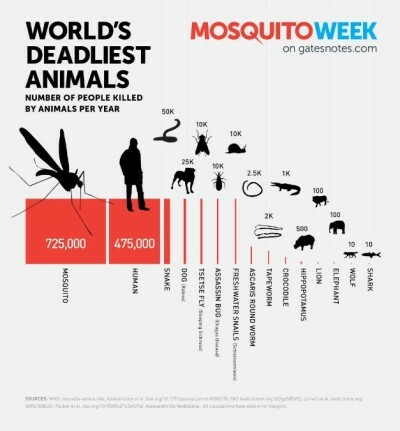 That list is dominated by mosquitos and the diseases they vector. Bill Gates has famously suggested that cable TV consider switching publicity to "Mosquito Week." Attacks in the news might spur efforts to eliminate sharks, but in most cases research has shown that these strategies don't actually reduce the risk of shark bites. Instead, Ferretti says that people can minimize their risk of a shark bite by becoming more informed of when and where sharks are most likely to be near shore. "Your risk to be bitten is much higher if you go surfing in the fall than if you go and surf in the spring," he explains. "This is really important, to empower people with the information they can use when they make their decisions." "Conceptually, this is an interesting paper looking at a species that is potentially dangerous to humans," says Douglas Long, a research associate at the California Academy of Sciences and Professor of biology at St. Mary's College, who studies white shark ecology and conservation. 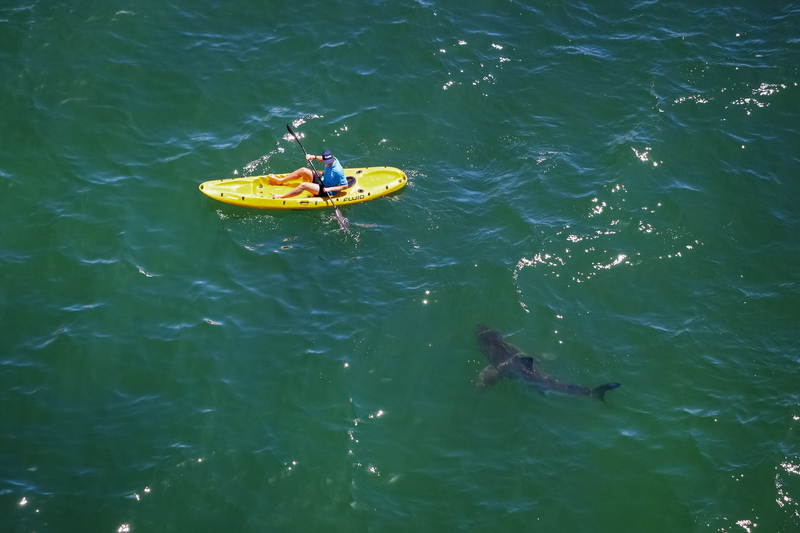 But Long cautions that we don't yet have reliable estimates of California's great white shark population sizes. He also says that obtaining more precise estimates of ocean use by people would give a clearer picture of the risk of shark attack. "Either way, shark attacks are really rare," he adds. "You have a greater chance of being killed in a traffic accident on the way to the beach, or even of being attacked by someone's dog at the beach."